Every once in awhile, someone says something so profound, it becomes a moment worth repeating over and over again. Celebrities have much influence on popular opinion and their viewpoints have the potential to become movements. Accessibility Services, Inc. wants to thank Mr. Wonder for standing up and speaking out on behalf of everyone who has a disability. His strength and perseverance to overcome his own disability helped him climb to the top of the music charts and become one of the most influential legends of our lifetime. Once again, thank you, Mr. Wonder. Your statement truly says it all! 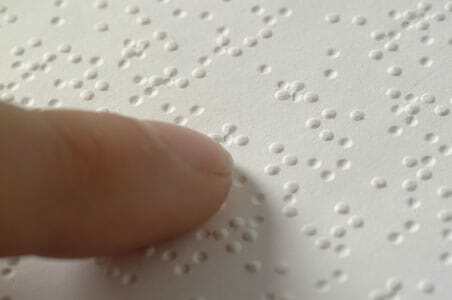 https://accessibilityservices.com/wp-content/uploads/2016/02/Braille_closeup1.jpg 300 452 ASI /wp-content/uploads/2019/03/ASIProposedORIGINALColor-01-e1553790122688.png ASI2016-02-18 21:26:142018-08-08 17:35:26What a WONDERful Moment!